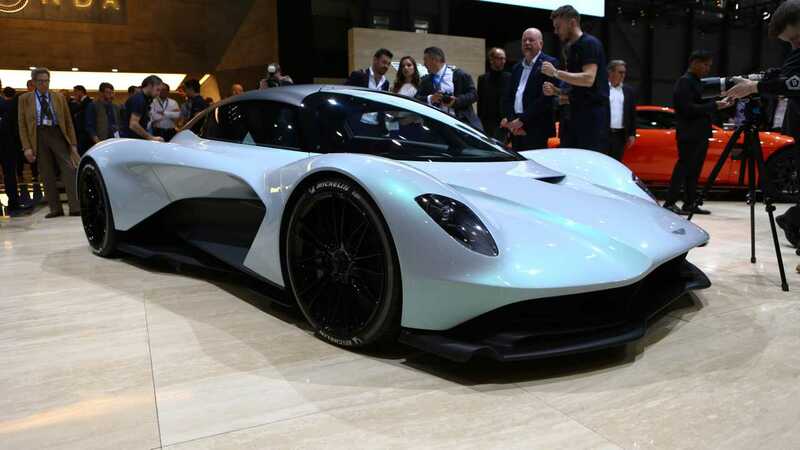 Aston Martin previewed a sub-Valkyrie hypercar at this year’s Geneva Motor Show in March without going deep into the technical details. The car that is still codenamed AM-RB 003 will become the brand’s third 21st Century mid-engine machine following the Valkyrie and Valkyrie AMR Pro. Official information about its powertrain is not available at the moment, but a new report claims it will produce somewhere in the region of 1,000 horsepower (746 kilowatts). During the Geneva debut, it was revealed Aston’s new road-legal project, believed to receive the Valhalla moniker for its production release, will use a completely different powertrain than its bigger brother. 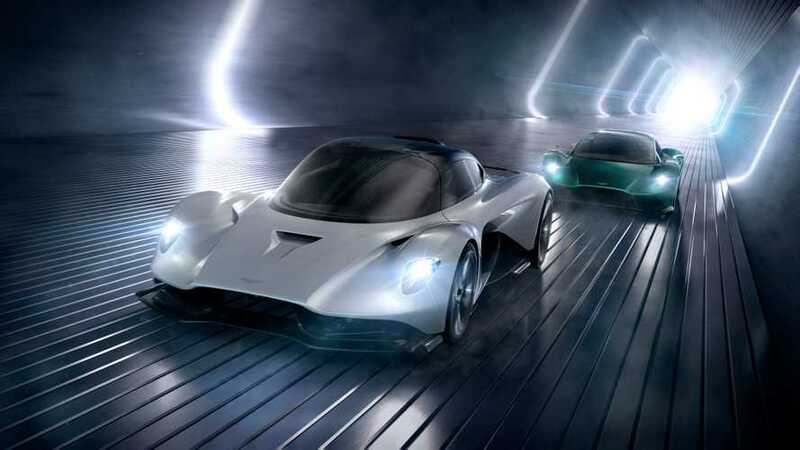 While the Valkyrie has a Cosworth-engineered naturally-aspirated 6.5-liter V12 engine, the AM-RB 003 will rely on a turbocharged V6 supported by one or two electric motors on the front axle. This way, the vehicle will basically be all-wheel drive. DiarioMotor.com, an online publication that claims to have preliminary details about the Valhalla coming from potential customers, also says the overall weight of the car will be less than 2,976 pounds (1,350 kilograms). This will be achieved thanks to an extensive use of carbon fiber for both the monocoque and the body. Even the seats, said to be fixed to the floor, are rumored to be made of the lightweight material. Interestingly, our source says you’ll be able to adjust the driving position by moving the steering wheel column and the pedals. While the AM-RM 003 is considered to be generally more civilized than the Valkyrie, it will remain strikingly quick. The Spanish outlet says it will reach 62 miles per hour (100 kilometers per hour) from a standstill in less than 2.5 seconds and will be able to go in excess of 217 mph (350 kph). Last but not least, the report claims the price of the final production version of the hypercar will be no less than £875,000, which works out to about $1.14 million at the current rates.